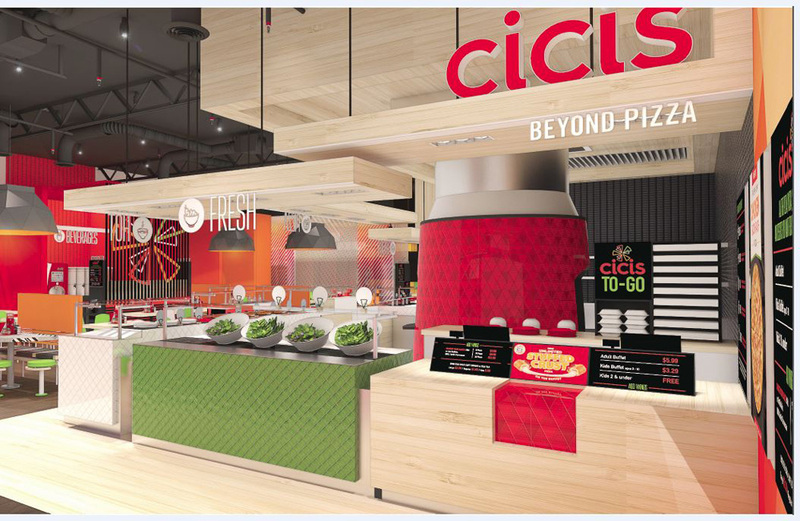 The new logo, which removes the word "Pizza" from its name and adds the modifier "Beyond Pizza," acknowledges that Cicis is not just another pizza place and serves a lot more than pizza — including salad, soup, pasta, desserts and a fun gameroom experience. The logo is comprised of unique shapes of various colors converging around a central point, representing variety, as well as individuals coming together. Packaging. With very poor Photoshop mock-up. Both logos could be worse in many ways but they could also definitely be a lot better; it depends on what kind of generic-ness you are in the mood for. The old logo at least had some personality in its quirky typeface choice and tomato wrapped inside some kind of green holding shape inside a pizza crust. I'm not saying it's great but at least it was clear what you were getting. The new logo, if it didn't have the tagline underneath, it could as easily be for a new line of kids' toys or small-market telecom. The wordmark is technically not bad but it's not the most appetizing either for pizza or typographic excellence. The exploding pizza icon, that's another story. That one is bad. There seems to be some potential with the introduction of geometric patterns as seen in the box and cup prototype below but they feel gratuitous for now and very disjointed from the logo. Overall, this lacks focus and execution but perhaps it's well representative of the buffet-style of Cicis where there is something in there for everyone. Thanks to Ian Carroll for the tip. (Est. 1985, previously Cici's Pizza) \"Cicis invented the Unlimited Pizza Buffet concept, driven by a belief in making life more flavorful by empowering guests to find the flavors they love. 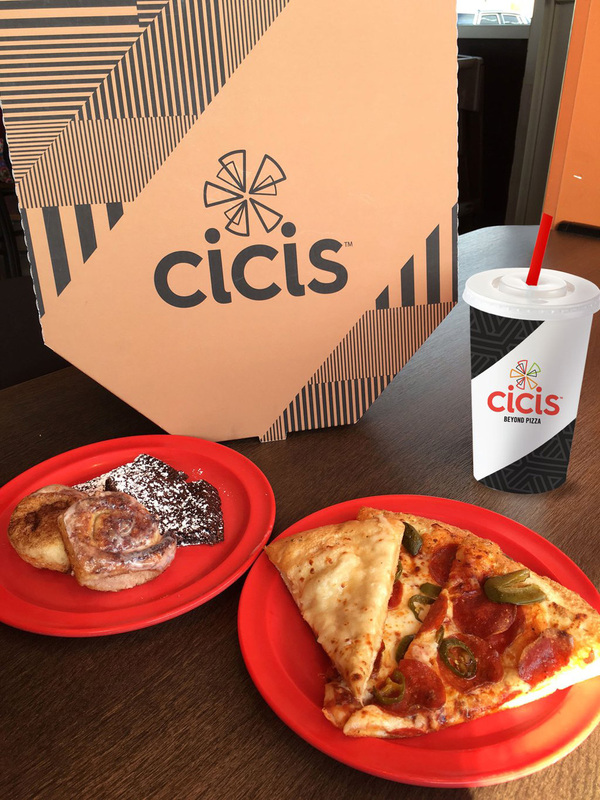 At nearly 450 restaurants strong in 32 states, Entrepreneur recognized Cicis on its Franchise 500 list in 2015. Cicis also won the Technomic 2014 Consumers' Choice award for best kid-friendly quick service restaurant.\"